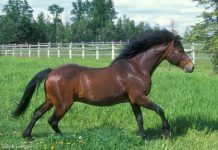 Norman Cob horse breed information, conformation, characteristics, and resources. 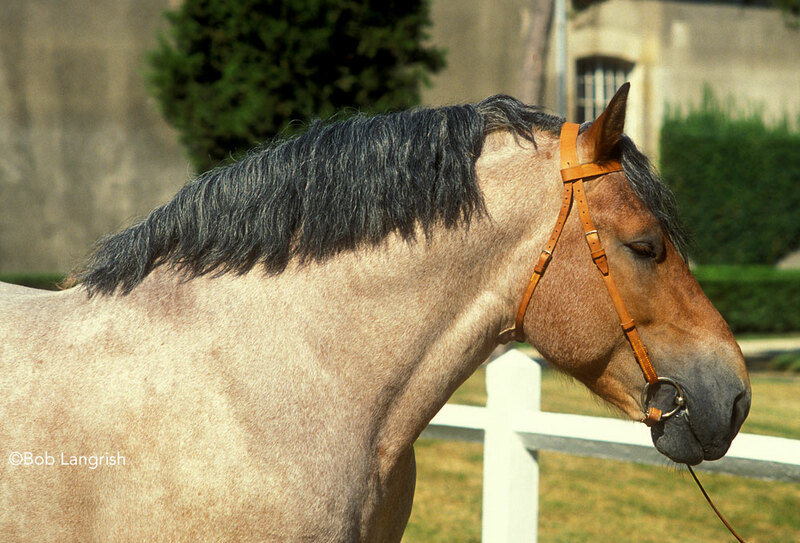 The Norman Cob officially became a breed in the early 1900s. 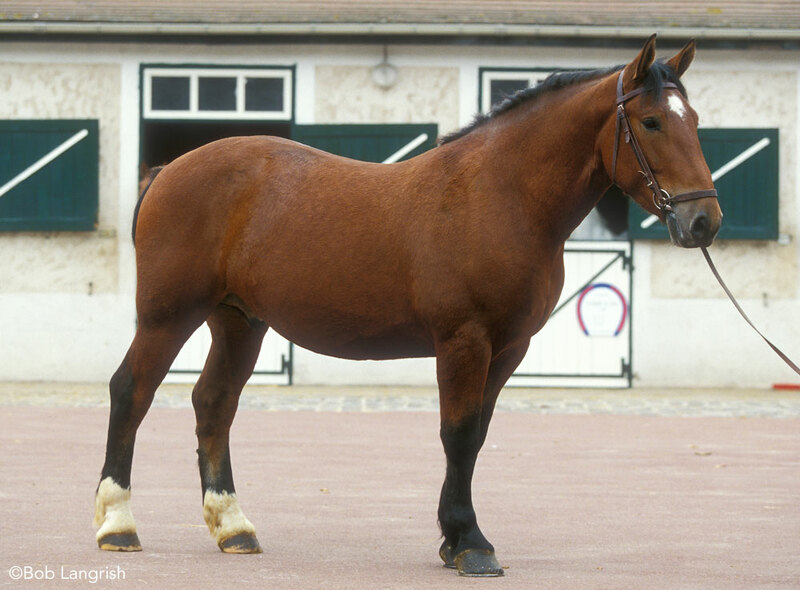 Although the term cob usually denotes a type of horse rather than a breed, the French chose the name because they resembled the English Cob. A cob is usually an all-rounder, with the ability to carry a rider or work as a draft horse. 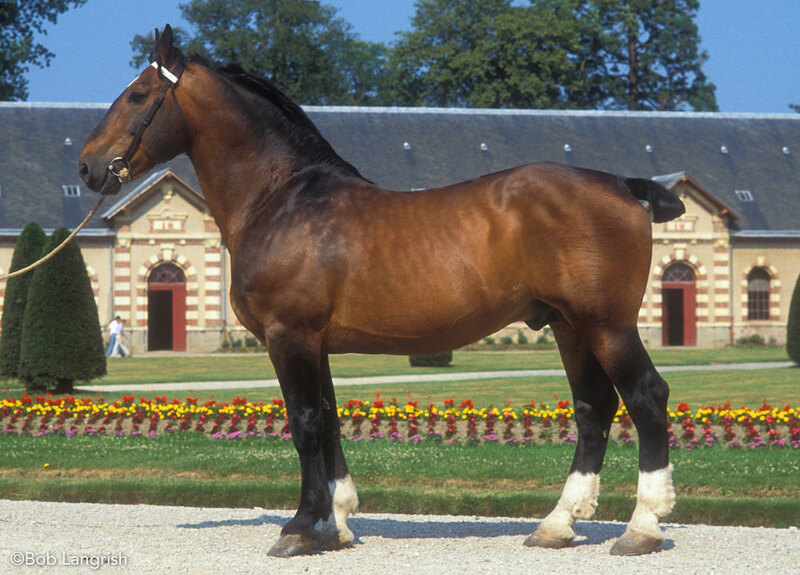 The Norman Cob is still bred at the State stud in Le Haras du Pins in Normandy, France, called La Pin National Stud. 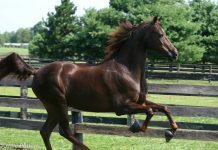 The Stud is a national institution with 30 government-owned stallions of ten different breeds. Traditionally, the Norman Cob was used by farmers in Normandy for farm work, driving and riding. The breed is still found in local farms in Normandy. The Norman Cob is chunky in build yet still possesses very smooth gaits. The most common colors are bay and chestnut; gray is less common. The tails are docked for harness purposes. The Norman Cob stands 15.3 to 16.3 hands high.